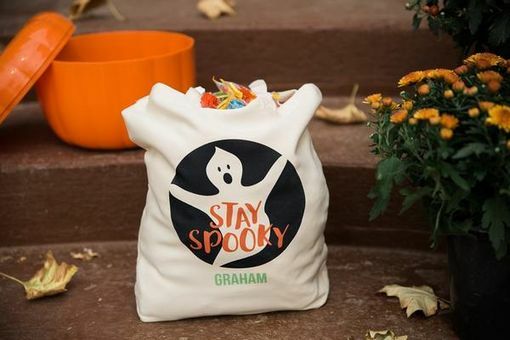 These adorable Halloween tote bags are the perfect trick-or-treat bag for any ghost or goblin special to you! 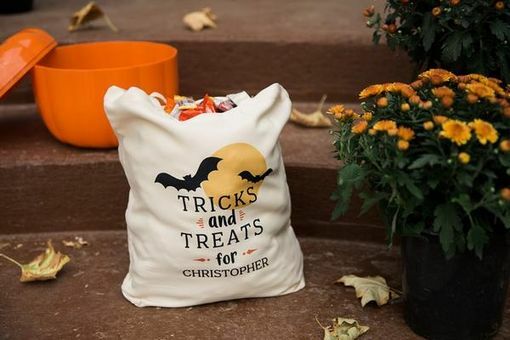 Bags are very durable and are a generous 13 x 16", ideal to hold all the treats you can imagine. 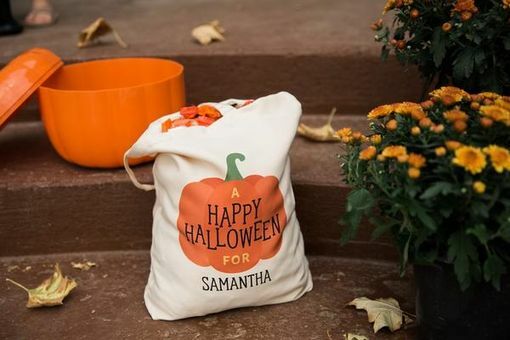 They are sure to light up the face of any trick-or-treater on your list when they see their name on a delightful bag and are sure to add extra enjoyment to their Halloween fun. 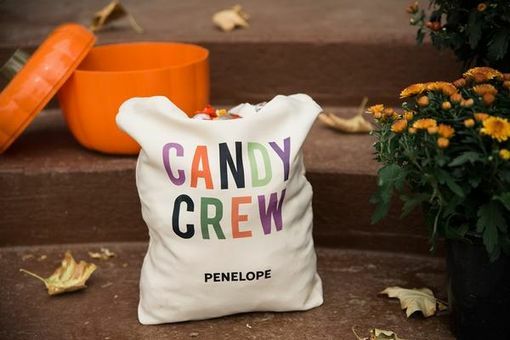 These sturdy totes will also be great for everyday use throughout the month, ready for books, shopping, and more. With four fabulous designs to choose from, the problem will be deciding which one to order!